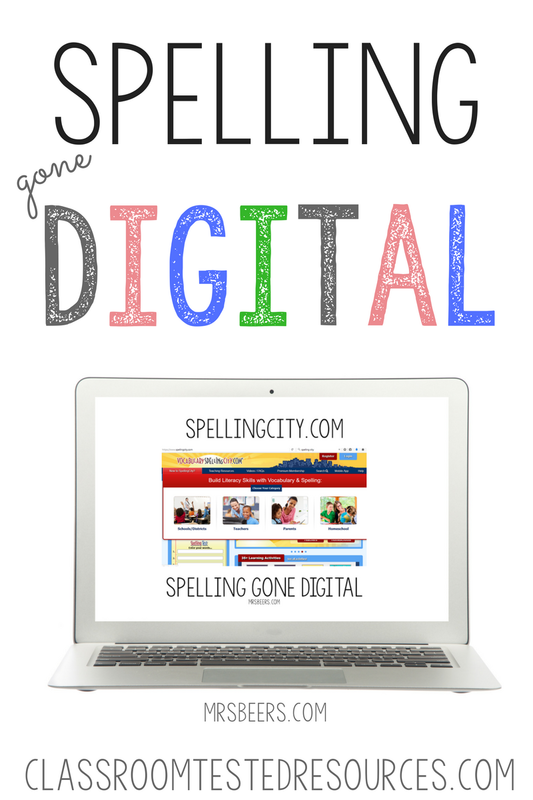 Spelling Gone Digital: Never Grade Spelling Again! I have reached the point in my school year where I feel like I have a good handle on grading and the amount that I need to do each day to keep up with the paperwork that comes along with 75-4th grade ELA students. I LOVE teaching language arts! There is absolutely no other subject on earth that I would rather teach, but I know we can all agree that teaching ELA comes with lots of projects, written responses, and writing to evaluate. One thing that has been a blessing for me this year is the work we do with spellingcity.com If you have never utilized this FREE spelling and vocabulary tool, go there now and explore. I promise it will make your life easier and your school bag a whole lot lighter. While my school district utilizes Words Their Way, we struggled to find the best way to engage our students in thoughtful word work without doing random worksheets. In addition, our 4th graders are 1:1 with Chromebooks, so it only made sense to allow for spelling to move digital. While we keep some written practice, the majority of our spelling is done utilizing spellingcity.com. Step #1: Go to spellingcity.com and register. We are able to do all our work using the FREE account. Step #2: Go to the List Management and click on Create a New Word List. Step #3: Using your own spelling list, type in your list title and type in your spelling words. It will give you 5-spaces, but you can add words as you go or just do batch entry and enter them all in without clicking in the different boxes. Step #4: When you click SAVE, it will generate your list with parts of speech and sentences to help your students understand the meaning of the words. You will just need to double-check that your word meaning and part of speech matches. Step #5: Your students may now go to spellingcity.com and search for your name and word list. They do not need to register, word lists are accessible by students going to spellingcity.com and searching by teacher and list. Step #6: Students utilize their headphones or earbuds and click on Spelling Test. I do a pre-test on Monday to determine if my students need to take the spelling test on Thursday. They take both pre-test and test by just clicking on Spelling Test. Step #7: Students listen for each word and sentence, then type in the word. At the end of their test they can double-check the spelling of each word, listen to the sentence, and check their work. Finally, they click DONE. Step #8: Students show me their score, which I record on a Progressbook class roster spreadsheet I clip into a clipboard for mobility, and enter into Progressbook when I have a moment. Step #9: Students can view and print their score report to share with parents and utilize for spelling practice. Step #10: Students use the different spelling practice tools to work with their words. While you can do all different kinds of spelling activities, I find that incorporating technology motivates my students. They are still expected to do repeated written practice to study words, but the digital component makes spelling fun for my students and light on the paperwork load for me! WIN-WIN! I would love to hear any ways you are able to lighten your grading load. 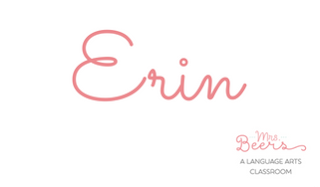 Keep me posted on your awesome tools, strategies, and ideas.